Metreleptin, a recombinant human analog of leptin, may be an effective treatment modality for metabolic abnormalities of lipodystrophy. Patients with acquired partial lipodystrophy who develop metabolic abnormalities are in a subgroup population that might be candidates for metreleptin or other investigational therapies, according to a study published in Endocrine Research. Researchers of this retrospective review analyzed data sets to create a profile of patients who present with acquired partial lipodystrophy and metabolic abnormalities. Diagnosis was based on adipose tissue loss, serum biochemistry, and leptin and adiponectin levels assessed by whole-body magnetic resonance imaging. 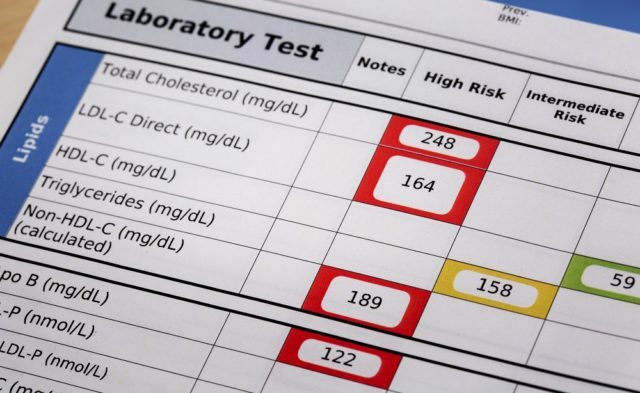 Severe metabolic abnormalities included poorly controlled diabetes, severe hypertriglyceridemia, acute pancreatitis, and elevated liver enzymes. Out of the Turkish Lipodystrophy Study Group registry, 28 patients had acquired partial lipodystrophy, and 6 of these patients had severe metabolic abnormalities. Of these 6 patients, the mean age was 37 (range: 27 to 50 years), with a symptom onset age of 11 years (range: 7 to 20 years), and these patients were followed for an average of 50 months (range: 12 to 89 months). Out of the cohort of 28 patients, 17.9% had poorly controlled diabetes despite therapy with insulin and oral antidiabetics, 17.9% had severe hypertriglyceridemia, and 7.1% had biopsy-proven nonalcoholic steatohepatitis. When compared with patients without severe metabolic abnormalities, patients with metabolic abnormalities had advanced fat loss (P =.001), more time from when the fat loss was first noticed (P =.023), more prevalent cases of diabetes (P =.002), more frequent hepatic steatosis (P =.01), more frequent pancreatitis (P <.001), increased HOMA-IR (P <.001), and increased polycystic ovary syndrome (P =.006). In conclusion, these findings indicate that patients with acquired partial lipodystrophy and severe metabolic abnormalities not being controlled with typical therapy may benefit from investigational therapies such as metreleptin. Multiple authors declare affiliations with pharmaceutical companies. Please refer to reference for a complete list of authors’ disclosures.